Amendments to polices do take place especially if travel dates or durations change. We do not charge for basic amendments. 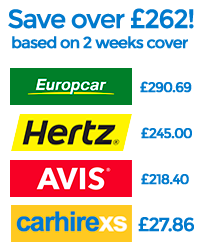 Please note however that extra charges will be incurred if the core elements of the car hire excess waiver policy changes. This includes but is not limited to the duration of trip, area of cover, person covered or the type of policy. If you need to make an amendment please call our Insurance team on 08434 590 877 and they will be able to assist you. Any amendments will be made in our system and a new policy certificate will be emailed to the email address shown in our records. Please note our call centre is open 7 days a week.